Here’s a link to a mention on the radio! In Podcast #29 I joked about the number of wood card index cabinets scattered about my home. Here’s two of them! A Young Lad’s Connection with the Fighting Temeraire. If I had but known. That’s a phrase that I’ve thought so often during my adventures in family history that I’m hardly conscious of the words these days. If I had known that my family had been disrupted by land enclosures, I would have paid much more attention to my history lessons at school. If I had known that my grandfather served in the Machine Gun Corps, I would have asked many more questions. But I know that the greatest missed opportunity for making the most of an experience was much, much closer to home. I wasn’t seven years old when the doctor decided that I should lose my tonsils and, because I was the son of a Navy family, I should be admitted to the Royal Naval Hospital Haslar, close to the shores of Portsmouth Harbour. I hated it. I hated being away from my Mum and Dad. I hated having to stay in bed and I can still recall being cross when doctors and nurses ignored me as they walked past. What a difference it would have made if I had known that, on 1 December 1805, the injured sailors in the ‘Fighting Temeraire’ had been brought to Haslar following the Battle of Trafalgar. Of the 129 admissions from the battle, 52 were from the Temeraire. Nelson was my number one hero at the time and I’m sure that this slice of history would have let my imagination run free. I mean, come on, I was there, in the same passageways and high-ceilinged wards as those veterans of Trafalgar. In fact, let’s not exaggerate, those sailors suffered amputations and that’s what lay in store for me – I was going to have my tonsils amputated! 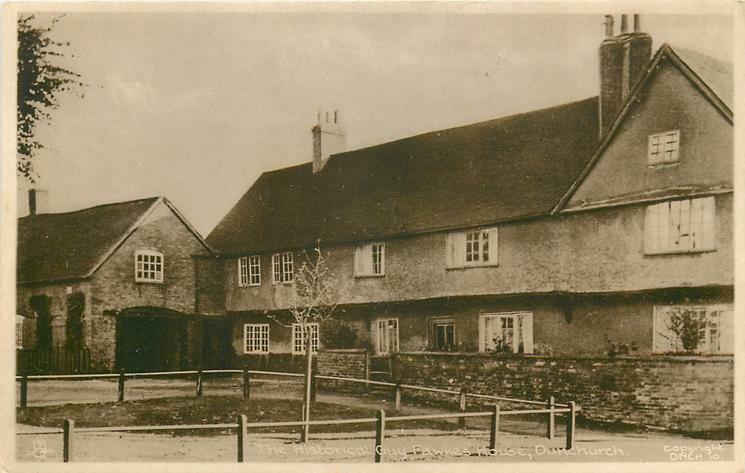 The hospital had been built in 1746. No brick-built building in Europe could match it for size. It had 114 wards. This was Britain’s first Naval Hospital and, for all the bloody -not to say savage – surgery of the day, the hospital was the scene of many advances in battle medicine. The hospital closed in 2009 and the magnificent buildings are now in the hands of developers. For all I know, my tonsils are still there. So, what’s this all about? Well, for all my light-heartedness, I do feel a ‘sense of something’, having been admitted to the same hospital as the men of the Temeraire – and this is not belittled by the very obvious concession that tens of thousands of other patients shared that experience. The disappointment is that I didn’t pick up on anything of Haslar’s history until the 1980’s – some thirty years after I’d lost m’tonsils. The lesson, I suppose, is to research the side alleyways of local history that might connect with our genealogy. Oh, how I would have made the most of those days, as a seven year old, if only someone had told me. I don’t post on this page as often as I should but it is nice to see how they link together. The study of an old cricket match, back in the Spring, resulted in my privately published history of three brothers on my family tree and Cricket in Bingham, Notts. 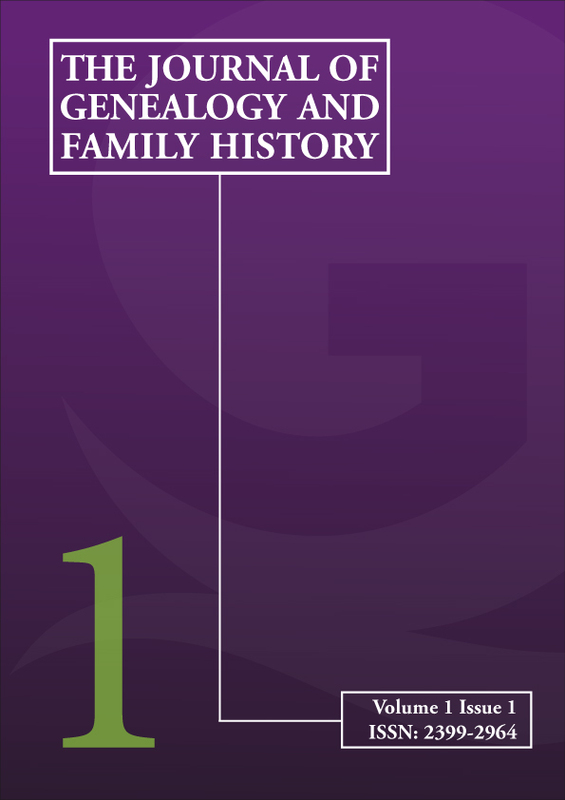 And now, if you scroll down and read the last post about a parish history of Gedling ….. well, thanks to a great friend, here is the book in new covers! Years overdue, I recently purchased a copy of Charles Gerring’s parish history of Gedling, a Nottinghamshire church where I, my mother and grandfather were baptised. I was pleasantly surprised to find my great-grandfather mentioned as a bellringer, parish councillor and subscriber to the volume (but no word, unfortunately of his cricketing). Various entries make it clear Gerring also shared these interests and there’s little doubt that he and my gt-grandfather would have known each other. This brought a new dimension to the book for me because Gerring was writing not only at time but also with a perspective that my gt-grandfather would have shared. No, it isn’t a vicarious conversation but it does help get a little closer to the character. And, of course, as a subscriber gt-gdfa would have owned and I hope read the same book. Just a little more research confirmed that Gerring also transcribed the early marriage registers for Phillimore. This task would have been so absorbing and time consuming task that we need only a little imagination to believe that gt-gdfa knew the work was going on – and may even have looked over the scribe’s shoulder! I am sure this is not an uncommon example. I have always said that we should read the old parish histories with ‘two pairs of eyes’ – the first learning about the place while the second recognises what the writer is telling us about their own time – the priorities and attitudes of the years when the book was written. In a podcast on W.E. Tate, I mentioned that one delight of his introductory chapter to The Parish Chest was his comparisons with English villages of times gone by also gave us a look at a ‘modern day’ village of the 1940’s. It all adds to the picture. Some years ago, I worked near Dunchurch, Warwickshire, and enjoyed taking lunch on the green within sight of Guy Fawkes House. Except, it had never been Guy Fawkes House but it had been an inn where the conspirators planned to muster after the outrage. It was of more interest to the interrogators after the plot than it had ever been to the terrorists beforehand. I had become more interested in the Treason of 5 November since moving, geographically speaking, to the hinterland of Catholic dissatisfaction in the English Midlands of Elizabethan and Stuart times. It seems unlikely now that this hotbed was not really as hot as the propagandists of the time would have had people believe. Not many Catholics from the Shires would have risen up to support an insurrection led by the gunpowder plotters. The answer to a more realistic perspective lies in the genealogy. Catesby, the dashing leader, Robert and Tom Wintour were great grandsons of Sir George Throckmorton. Two more of the circle, John Grant and Francis Tresham were married to his great grand-daughters. Thockmorton himself had married Catherine Vaux whose family tree brought Ann Vaux, Eliza of Harrowden and other Treshams into this family of the plotters and sympathisers. Yes, there were others who were outside the family – including Mr Fawkes – but the better explanations of the Gunpowder Treason begin with a careful drawing of the extended pedigree and an examination why this family spawned such rabid radicalism. So, what’s in this for the genealogist? It is another example where the answer to understanding history lies in the genealogy. It might be outdated now to talk about all history being the biography of the great people but setting down clearly the extended family relationships between the protagonists, the bit part players and the opinion formers so often unlocks the mysteries of what was going on. And it’s worth bringing the lesson to our own work. As we bring in more collateral lines and in-laws with far reaching branches, can we try for a sense of where was the past and where did the future lie? The matriarchs, the wise men, the money earners and not to mention the productive pairings. A quick glance at my list of forthcoming episodes shows that I have been putting together a podcast drawing on the different genealogical sources for Shakespeare. I have been fascinated by his life, and his London, for many years; it seems so full of hidden intrigue – and it is never very far away from the Gunpowder Plot. No matter how many wild and willowy claims are pushed forward, surely, there is still room for more conspiracy stories, so whenever I talk or write about W.S. I like to throw in a teaser for committed enthusiasts to gnaw away at. The more I read about Shakespeare the more I see folks’ determination to complicate the story as the root of the problem, And an obvious example – as far as family history nuts are concerned – is the question of the ‘Lost Years’. We are supposed to be puzzled because there is no mention of Shakespeare’s life between the baptism of his twins in 1585 and the line in Robert Greene’s pamphlet of 1592 referring to ‘the upstart crow’, In fact, his name does appear in a legal dispute over a parcel of land in 1589 – but let not that spoil a riveting argument. Good Lord, this is seven years in the life of a Tudor glove maker’s son and few enthusiasts browsing a family tree would be worried by an interval of seven years, Information about the general classes during Tudor years is pretty damned sparse and a pedigree that mentions a 1585 baptism, a 1589 legal dispute and a 1592 pamphlet might be considered a well accounted space of time. It is more informative than many, if not all, of my branches in Elizabethan times. The second issue arises from this same attitude. The historian should not be worried by ‘Lost Years’ – compared with what similar families might expect, those years a very well evidenced. But it is the documented commentary rather than the years that are missing. They cannot explain why Shakespeare moved from Stratford to London, sometime after 1585 in time and sufficiently inspired to write Henry VI before 1592. My response to that question cannot help but be influenced by the grime of old family tree roots under my fingernails. I am sure the answer lies in the genealogy. I thought it slightly odd when a teenage date – this was some years ago – admitted relaxing by considering international time zones, but I couldn’t say she had been wasting time. And I remember thinking that things were turning out right when my daughter began to habitually browse through different telephone directories. But, while lists of names are good, they cannot come close to bus and railway timetables which illustrate man’s attempt to control time and distance, two elements he has no hope of controlling. On the whole, lists are a worthy and honourable pass-time. This evening I have spent a couple of hours (even I would be embarrassed to mention the true timescale) playing in front of the fire. That is to say, I have been comparing the parish registers of my ancestors’ village with the Hearth Tax returns of 1662/4. With a book listing taxpayers open on the carpet and the transcript of the registers on the screen, I have sat with a pencil and notepad marking crosses and ticks and a curious shape that you might mistake for a tadpole or cupid’s arrow gone wrong but is my notation for a migrating fellow. Now, this was playing around – nothing serious. The approach was neither studious nor scientific. How many years before and after the tax return should I take account of hatches, matches and dispatches? Well, let’s not have any rules; I’d know when I’d gone too far, and I would have to break for coffee at nine o’clock no matter how far I had got. I was considering a village in a sequence of long thin parishes so I was accustomed to finding high levels of migration between them. Having walked the ground, I knew how easy it was to trip over the boundaries between not just two parishes but three or four. However, my couple of hours with ticks and crosses emphasised the point. (The alternative to migration, in this study, could be the incidence of children baptised ‘out of parish’ or in mum-in-law’s parish, possibly the parish of confinement – an aspect I ought to do more work on.) The other picture that emerged very starkly was the level of new and not-so-new mums and dads who were not householders – I guess many were living with the in-laws. But if the conclusions are woolly and uncertain, what’s the point? I hope this post shows how the family history nut, idling around without too many rules or structures, can come up with a hypothesis that’s worth working on. In fact, idling unstructurally is probably to best mood for conjuring up ideas. Hey, a good example of a genealogist with too much time on their hands – that’s the by-line of my talk-genealogy podcast and we’ll covering Hearth Tax returns in the August or September upload. This afternoon – after Sunday lunch – I returned to a local history of Bingham, a Nottinghamshire village, and I was surprised by how little attention I had previously given the page or two about a cricket match played over 17-18 September 1800 between Bingham and Melton. (I had bought the book many years ago.) A gentleman, who appears to have been my gtx4, was much involved, along with three of his cousins. (Why should I be shy? The old man scored the greatest number of runs!) A couple of hours on the net brought forth other references to their parochial cricketing careers which secured them some little mention in the early cricket history of the county. Especially teasing was the mention of an old print of the match with a transcript of the score card – so that’s something to look out for. So, why is this worth a few words on my page of thoughts? Well, records of hatch, match and dispatch, apprenticeships, taxation and even court appearances certainly provide reference points when we want to construct the lives of our ancestors. And, yes, there is much to be noted in the photographs from the late 19th and early 20th centuries, depicting those grandfolks we’ve ‘nearly heard of’ but aren’t quite sure about. But when it comes to the oldens for whom we have grown up with neither names nor places, specific events – a day, a place and a doing of something – within the colourful course of their lives provide a touchstone on which, perhaps, we can build. As we research further back, we might learn of their part in the battles and survivals of history (and I feel as chuffed as anyone when I hear of their roles at Hastings, Crecy, Agincourt and the rest) but the opportunities to picture them doing something ordinary – like playing cricket for the village – become increasingly rare. And worth a few words. I have never been enthused by Place Names Studies. I remember enrolling on WEA evening classes some years ago; the first three sessions were so uninspiring that I cut my losses. While the history and development of a name might hold a passing interest for me (alright, probably not), I just cannot be grabbed by questions of origin. I think the problem is that the answers are either so obvious that they don’t merit explanation, or so obscure the explanations seem little better than guesswork. My attitude should have changed when I tracked down the origin of my mother’s surname to a lost village in Nottinghamshire. I found the village, the descriptive origin of the name seemed evident enough and I even found records of the chap who, probably, was one of the first to carry the name. But I am sure that I would have felt no more or less excited if the place had been called Woodleigh Bottom or Brown’s Field instead of Horse-Pool. This evening, I have been browsing through a Dictionary of Place Names, looking rather idly for any names that throw a curious light on the activities of English folk in years gone by. But, once again, it’s all a let down. Picklescott must surely have an interesting origin; no, it is simply Pick’s Cott. What about Flegg – that has got to be an odd-ball pastime. No, it’s all about a water plant apparently. The disappointment comes from a sure conviction that the subject should be interesting – and it is only the names themselves which make it ordinary. And, of course, those names had to be uninteresting and immediately obvious if there were to serve their purpose. No, toponymy has got be a hobby for other people, I’m afraid. Now, all of this is downright disrespect because the General Editor of the English Place Name Society was, for several years, Frank Stenton – who knew more about old England than most people would ever need to. He wrote the Anglo Saxon volume of the Oxford History of England and numerous other titles, including a quaint but likeable biography of William the Conqueror. The contents of the Stenton Special Collection, his working library and even his coin collection are the marks of a historian such repute that it’s difficult to believe that he would be kept busy with place names if they were really so humdrum.